I've praised the versatility of roof racks for some time, especially on a small car. 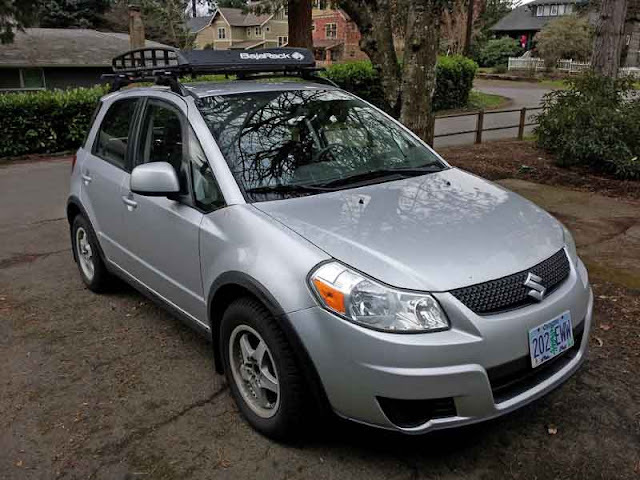 Our Suzuki SX4 has had bike racks, ski racks, enclosed cargo boxes, and just the crossbars on its roof. Now we can add another attachment to the list: a BajaRack Mule. We installed this roof rack yesterday, and it'll be a great way to stow additional cargo. 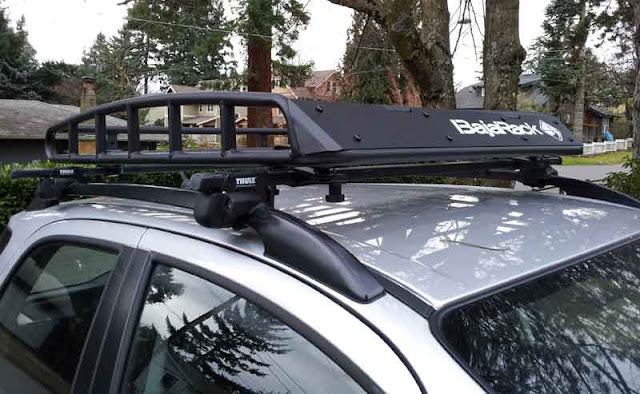 Whether its a cooler or firewood for camping, a larger item purchased while shopping, or just stowing gear on a road trip, the Baja Rack Mule will prove to be a versatile roof accessory. BajaRack has become one of the top manufacturers of roof racks, especially in the overlanding world. The unit is very well made and quite stout; it is powdercoated and comes with a front fairing for aerodynamics. It also comes with the necessary hardware and is easy to install. It has a 300 lb. capacity, which outweighs the roof rail's capacity. The total weight is 38 lbs. We used the included mounts and attached it to our Thule rack system. It fits like it was made specifically for it. One of the best things about the Mule rack is its size: It looks perfectly at home on a smaller vehicle. I've seen some roof baskets that dwarf the car. Not this one—it's the perfect size for an SX4 or other subcompact. Big enough for gear, small enough not to look awkward. Also, the price isn't too bad at about $295. I'd highly recommend this basket for those looking to invest in a great way to carry more gear on their vehicle, big or small. Can't wait for our next road trip; who wants to go camping? The Suzuki SX4 is looking amazing with the new bajarack. This rack is really helpful while touring.